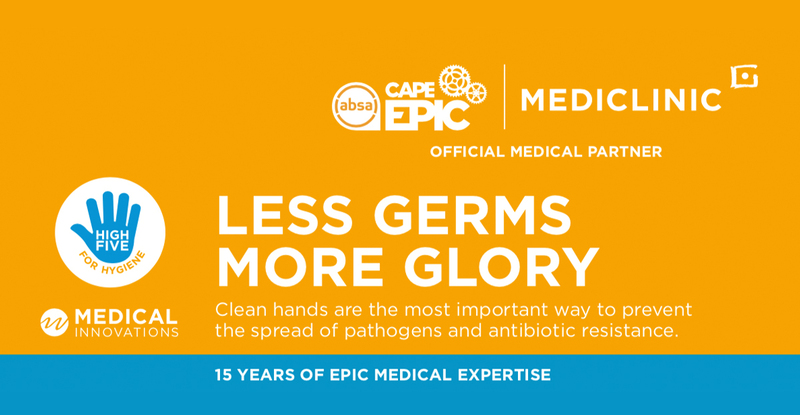 Home > Cape Epic > Less Germs – More Glory! Over the upcoming eight days of the 2019 Absa Cape Epic, the race’s reputation as one of the world’s most recognised extreme races will once again be put to the test. With conditions out on course often very dry and hot, pre-emptive measures to manage your health become even more important. Dr Darren Green, Race Doctor to the Absa Cape Epic, believes that these conditions have the potential to negatively affect riders over such an extreme multi-stage race. With food stops positioned at different water points, it is a priority for riders to consider the impact of the dirt and dust on hand hygiene or wound care. “The last thing we want are any complications from the transfer of bacteria, so we are asking riders to keep this in mind across the race village. Simple things like fist pumps instead of handshakes and regular use of the hand hygiene points across the village can help the rider remain healthy,” Dr Green explains. Whatever the ailment, the Mediclinic team will be ready to support riders at our fully equipped race hospital, but as the saying goes ‘prevention is better than cure’. 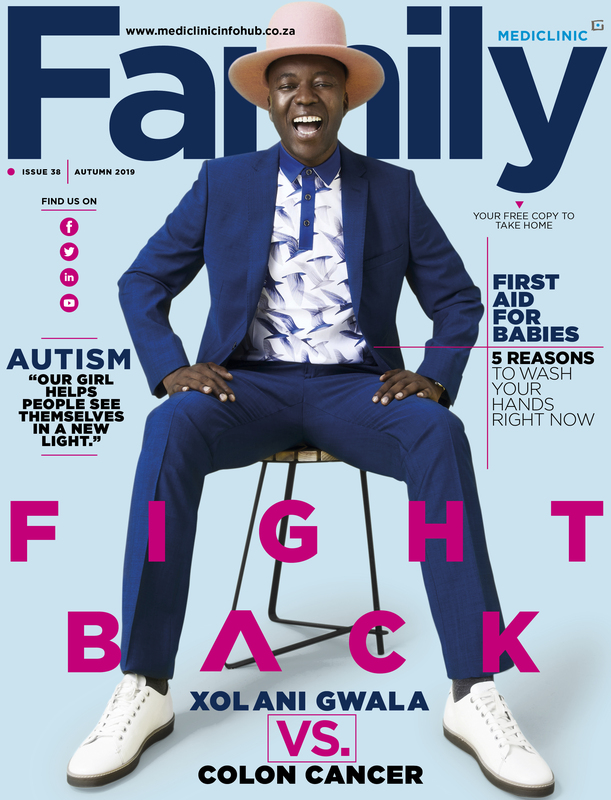 Look out for the complimentary Mediclinic hand sanitiser in your race pack – we will be with you throughout the race!